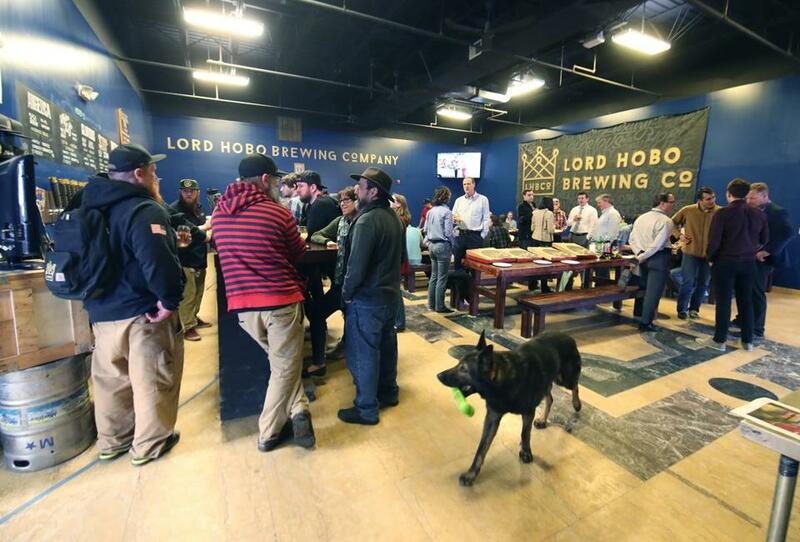 The tap room of Lord Hobo in Woburn where dogs are welcome. 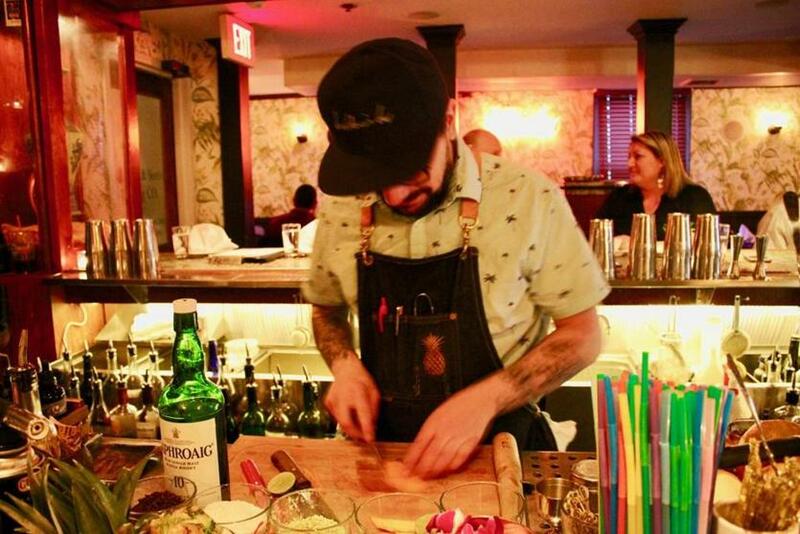 Bartender Derek McCusker prepares a cocktail at the Baldwin Bar in Woburn. 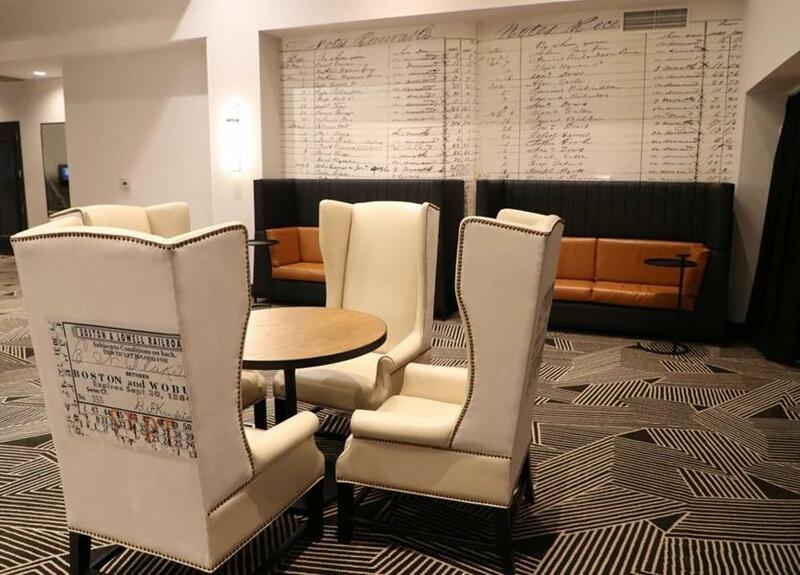 The leather chairs with Boston to Woburn train tickets outside Thompson Hall (large meeting room) in the Woburn Hilton.